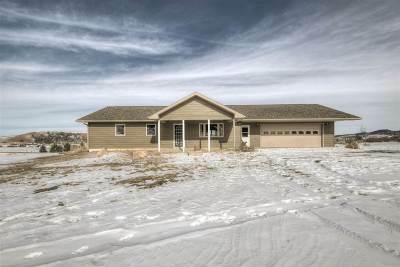 Call or Text Listing agent - Ryan Wordeman - The Real Estate Center of Spearfish - 605-484-7803 for more information. Rare opportunity to own 3.48 acres with a shop with Spearfish city limits. Single level living featuring 2 beds, 2 baths 2 car attached garage with elbow room and a heated detached shop. Home has new siding and roof in 2018. Take a look today! Buyer is responsible for verifying all information on this MLS document.